Posted May 18, 2015 by admin & filed under White Bear Lake Auto Repair. Bring your vehicle into a trusted and certified auto repair shop, like AM-PM Automotive Repair, as soon as possible. Call our team at 651-426-0462. 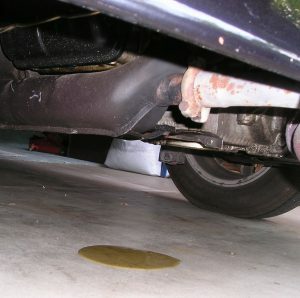 Left unattended, an oil leak can mean serious problems for your engine. Even a small oil leak can trigger the check engine light. Anytime this light comes on, schedule an inspection and diagnosis as soon as possible at our auto repair shop in White Bear Lake. If the check engine light is flashing, find a safe place to pull over and immediately shut off your vehicle and have it towed to a trustworthy auto repair shop with certified technicians. When you bring your vehicle to AM-PM Automotive Repair in White Bear Lake for an oil change, you’ll leave with confidence knowing we have your best interest at heart and your oil will stay safe and secure in your engine. 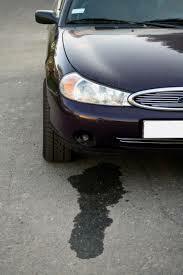 If you notice low levels of oil or evidence of a leak in your garage, come in right away or call us at 651-426-0462.